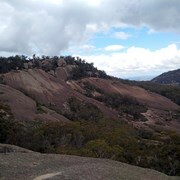 The highest point in Girraween - Mt Norman provides some great views of the park and also visits the Eye of the Needle. 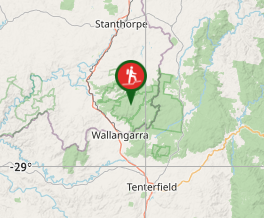 The walk starts from the Southern end of the Castle Rock campground following the same track as Castle Rock and Turtle Rock. Follow the directions on the Girraween National Park page. The track is well marked. 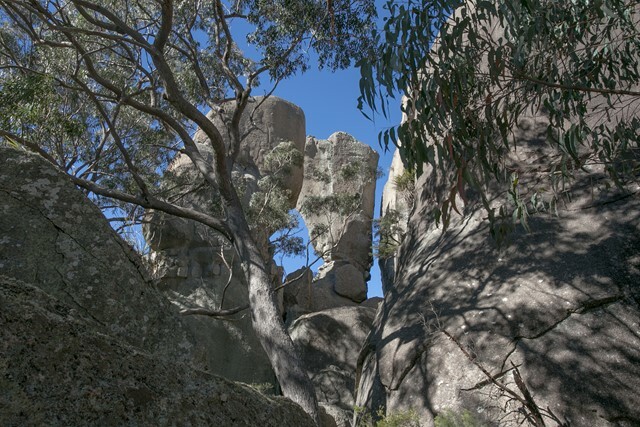 Continue past the turn off to Castle Rock until the track emerges onto exposed granite. The track is marked with a series of white markers which head up the slab. 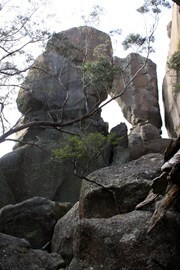 Keep an eye open for a T junction - the left track leads off to the Eye of the Needle, a formation of two balancing rock pillars. Eventually you'll reach a granite ledge. The final ascent to the summit requires technical rock climbing ability and should not be attempted without experience and a proper guide. Permission should also be sought from the park ranger. Wonderful hike i loved it. 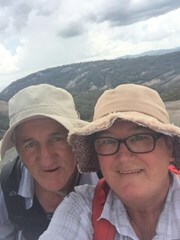 I tackled it from both directions from the my Norman day use area it’s 4km the ranger said this side has the steeper rock face to navigate but I found it to be quite doable. Sadly rain put a stop to my climb from the castle rock side. It has been very rainy so was quite wet and slippery and on decent it started to drizzle making it even more slippery. I did this walk on Thursday as well as the pyramid, Sphinx and Turtle Rock. I walked from the sign near the junction to the left, then the right as far as the granite slab several times and couldn't find the arrow marking the start of the rock scramble to the summit. This is the first time I haven't found a point that I was looking for, so could someone please tell me where it is so that I can do it next time. 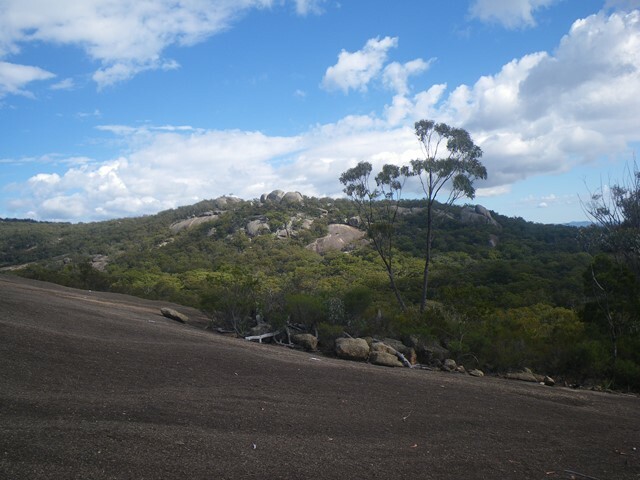 I have previously climbed Tibrogargan and Beerwah severel times and Mt Barney without any trouble. I even read through some articles while I was up there but no luck. Photos would be nice too if it is difficult to describe. Thanks heaps. 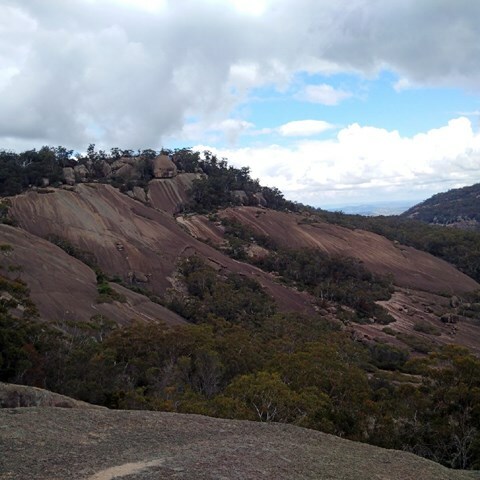 There are several ways up, and I took the easier one - a mix of forest trails, rock formations, open rock plateaus, and a few sections of sloping rock face with drop offs that gave me the willies, because it was raining and slippery. in the dry it would have been no problem. 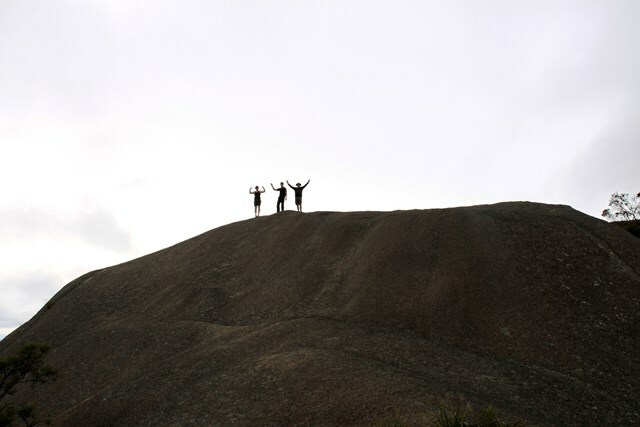 The recommendation is that the climb at the peak only be attempted by people with experience. Thought there was a lop so when I got to the other end I had to go over Mt Norman again...no doubt I 've seen that mountain. Nice hike. oh crap - the thunderstorm starts!! Got down slowly and headed back. Solo scramble. The actual scramble is short but surprised me with how tough it was - at least I had the summit to myself! The start of the scrambling section is marked by a faint spraypainted arrow on the rocks near the official trail. Great little hike - awesome views at the top. If you're tempted like me to stray off the track, take extra water cause 10km can quickly turn into 20. Also, watch out for snakes. Surreal landscape walking along old lava fields. A group of 3 of us found a series of caves but with our courage found a hole we had to be pushed and pulled through then went really deep into the rock. We were in these caves for just over 2 hours. I recommend a head torch! 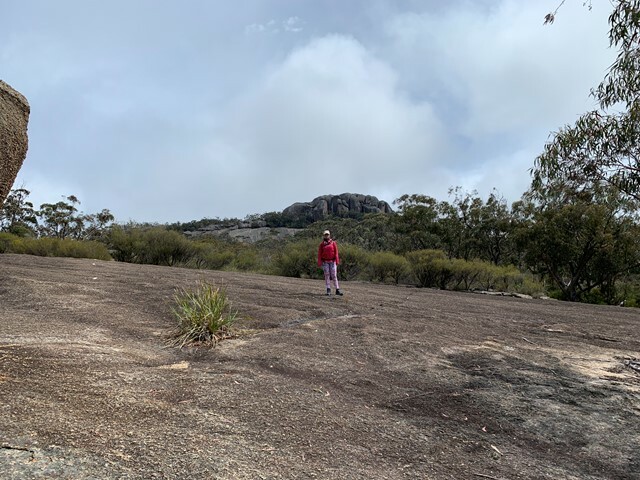 Never in the brochure was there mention of jumping from one very good solid rock base..... to an in between stuck rock.... to another very solid rock base!!!! That short description doesn't really make an imagination run wild but...... the crevice under the rock I had to jump onto to get to the next solid rock base was one of death!!!! 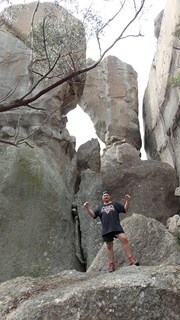 I'm not sure how I managed to summon up the courage to jump, and then jump again...... I guess it may have been the awesome support from the amazing team of people that I was with at the time! Awesome Climb. Very steep in parts. thankfully wasn't very hot. walked around the top and up over the boulders for a better view. 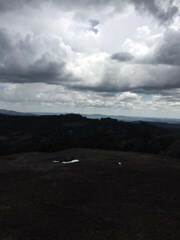 Awesome walk, found myself getting tired on this one :S. Spectacular views from the top, absolutely breathtaking. Will do it again! :D OOOoo got to see an echidna on the track, very exciting. 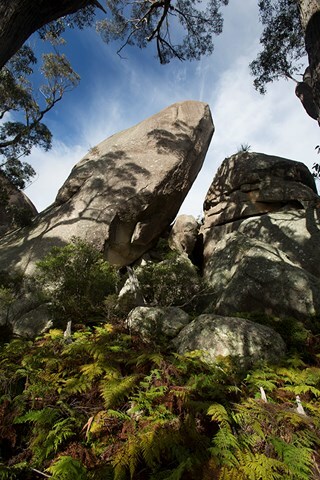 A great walk that can include a number of other walks and can extend into walking to Bald rock amultiday walk. Have to do again and again.